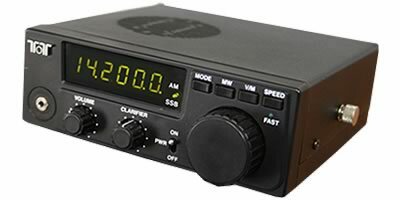 The Ten-Tec Model 1254 Superhet Receiver Kit combines the satisfaction of the kit building experience with the performance features expected in a modern HF receiver. You will build a true dual-conversion superhet with a microprocessor-controlled frequency synthesizer. Digital LED readout. Alignment is easy and does not require complicated equipment. You only need a volt-ohm meter and your ear; the kit provides its own 45 MHz test signal. Not recommended as a first-time kit building project. Estimated build time: 15-20 hours. Power supply: 12-15 Vdc, 250 mA current consumption with no signal present. 15 Vdc @ 800 mA wall transformer for 110 VAC operation included with kit. This entry was posted in Kits, Made in USA, Ten-Tec and tagged Made in USA, Model 1254, Radio Kits, Shortwave R, Ten-Tec, Ten-Tec Model 1254. Bookmark the permalink.